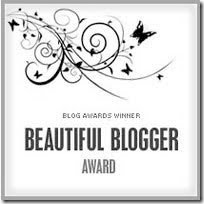 Since I didn't make it to the BlogHer conference in New York, where I was sure not to be stalked by the paparazzi, I wasn't prepared for these awards. My blog hasn't been awarded since I was a green rookie blogger. Now, I have been noticed by my real, can actually punch them in the arm, not poke them on Facebook friends. They said my blog was lovely and that I brought sunshine to their lives. They said it, and I believe it! Besides on Lori's blog, she admits she cannot tell a lie. My fearless crew leader and the chosen one, Lori @ www.Homeschoolreviewsandmore.com picked me for both awards. Lizzie from www.aworkinprogress.net gave me the Sunshine Blogger Award. I have been married to the Gman for almost 19 years. This is an amazing feat for someone with an attention span of about 10 minutes.Me, not him. He is an amazing guy, but I am not allowed to blog about him too much, so I won't share all of the ways he is wonderful. I hate motorcycles. I have had numerous bad experiences with them, someday I may blog about it. This summer I almost became addicted to McDonald's Caramel Frappe's. Intervention my tightwad tendencies saved my dress size life. I don't want to hoard books. I visit the library about 3 times a week. My house is for sale and keeping it show ready this fall will be a miracle. I used to cry when I had to wear a dress, this stopped in my 20's. I rode a bike toward the Mendenhall Glacier in Alaska and could feel the temperature drop as I approached it. It was an unforgettable experience. I am ignorant about many things. I often check out books with the title____________ for dummies. I am a coupon queen 70% of the time. I am a charter fan of Adventures in Odessey, I own their first tape release. I have birthed children in the 80's, 90's and 2000's. I have been blogging since February 2010. Here is their blog button. I just love this blog, it brings me back to my roots of motherhood. Long before I home schooled my children, I loved sharing books with them. I truly get excited at the discovery of a good book. This blog shares my old favorites, introduces me to new ones and shares pictures of bookcases. Click their button below and see what I mean. Because Lizzie also brings sunshine to my life. She introduces me to more great books. Plus she unselfishly lends them to me, up to half of her kingdom. Now that is very Sunshiny! Because she makes thrift beautiful. Because she makes lunch beautiful. Because she makes honesty beautiful. Because she makes homemaking beautiful. Because she makes motherhood beautiful. Visit these blogs and see for yourself how beautiful they are. I bet these blog owners didn't even realize that I stalk them. Thanks Lori and Lizzie, I appreciate the loving words and the compliments. 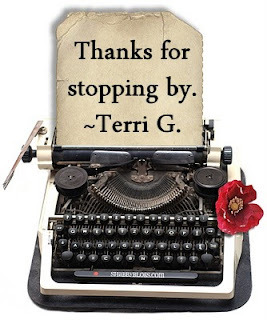 You are my blogging inspirators(new word, Lori)!!! Thank you so much for including me in this list!! What a great surprise! I hope you are able to sell your house soon! It's no fun keeping it "show ready' every second of the day! Thanks so much for the award. It is lovely. Aww you are so sweet, thank you. What a nice thing to come home from vacation to in my inbox!